Market risk: The risk that your investment could lose value due to falling prices caused by outside forces, such as economic factors or political and national events (e.g., elections or natural disasters). Stocks are typically most susceptible to market risk, although bonds and other investments can be affected as well. Interest rate risk: The risk that an investment's value will fall due to rising interest rates. This type of risk is most associated with bonds, as bond prices typically fall when interest rates rise, and vice versa. But often stocks also react to changing interest rates. Inflation risk: The chance that your investments will not keep pace with inflation, or the rising cost of living. Investing too conservatively may put your investment dollars at risk of losing their purchasing power. Liquidity risk: This is the risk of not being able to quickly sell or cash-in your investment if you need access to the money. Risks associated with international investing: Currency fluctuations, political upheavals, unstable economies, additional taxes--these are just some of the special risks associated with investing outside the United States. How much risk are you willing to take to pursue your savings goal? Gauging your personal risk tolerance--or your ability to endure losses in your account due to swings in the market--is an important step in your risk management strategy. Because all investments involve some level of risk, it's important to be aware of how much volatility you can comfortably withstand before you select investments. How much do you need to accumulate to potentially provide for a comfortable retirement? The more you need to save, the more risk you may need to take in pursuit of that goal. How well would you sleep at night knowing your investments dropped 5%? 10%? 20%? Would you flee to "safer" options? Ride out the dip to strive for longer-term returns? Or maybe even view the downturn as a good opportunity to buy more shares at a value price? How much time do you have until you will need the money? Typically, the longer your time horizon, the more you may be able to hold steady during short-term downturns in pursuit of longer-term goals--and the more risk you may be able to assume. Do you have savings and investments outside your employer plan, including an easily accessed emergency savings account with at least six months worth of living expenses? 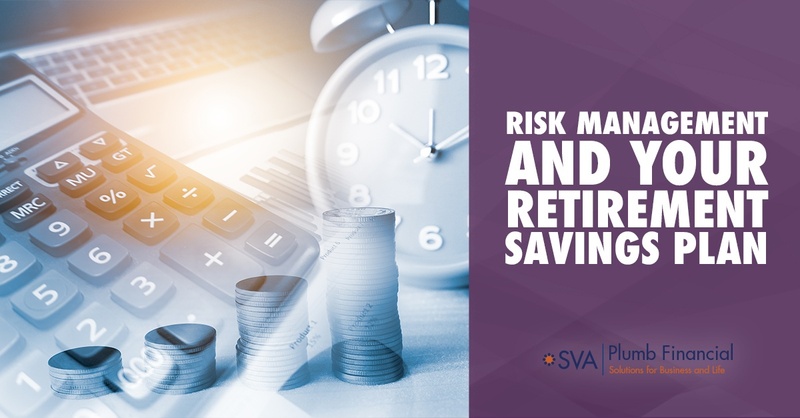 Having a safety net set aside may allow you to feel more confident about taking on risk in your retirement portfolio. Your plan's educational materials may offer worksheets and other tools to help you gauge your own risk tolerance. Such materials typically ask a series of questions similar to those above, and then generate a score based on your answers that may help guide you toward a mix of investments that may be appropriate for your situation. All investors--whether aggressive, conservative, or somewhere in the middle--can potentially benefit from diversification, which means not putting all your eggs in one basket. Holding a mix of different investments may help your portfolio balance out gains and losses. The principle is that when one investment loses value, another may be holding steady or gaining (although there are no guarantees). Let's look at the previous examples. Although the young investor may choose to put a large chunk of her retirement account in stocks, she should still consider putting some of the money into bonds and possibly cash to help balance any losses that may occur in the stock portion. Even within the stock allocation, she may want to diversify among different types of stocks, such as domestic, international, growth, and value stocks, to reap any potential gains from each type. Your employer-sponsored plan also helps you manage risk automatically through a process called dollar cost averaging (DCA). When you contribute to your plan, chances are you contribute an equal dollar amount each pay period, and that money is then used to purchase shares of the investments you have selected. This process--investing a fixed dollar amount at regular intervals--is DCA. As the prices of the investments you purchase rise and fall over time, you take advantage of the swings by buying fewer shares when prices are high and more shares when prices are low--in essence, following the old investing adage to "buy low." After a period of time, the average cost you pay for the shares you accumulate may be lower than if you had purchased all the shares in one lump sum. Although it's generally not necessary to review your retirement portfolio too frequently (e.g., every day or even every week), it is advisable to monitor it at least once per year and as major events occur in your life. During these reviews, you'll want to determine if your risk tolerance has changed and check your asset allocation to determine whether it's still on track. You may want to rebalance--or shift some money from one type of investment to another--to bring your allocation back in line with your original target, presuming it still suits your situation. Or you may want to make other changes in your portfolio to keep it in line with your changing circumstances. Such regular maintenance is critical to help manage risk in your portfolio. Asset allocation, diversification, and dollar cost averaging are methods used to help manage investment risk; they do not guarantee a profit or protect against a loss. There is no assurance that working with a financial professional will improve your investment results. 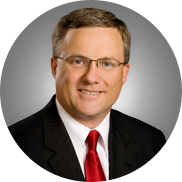 Pete is a Senior Wealth Manager with SVA Plumb Wealth Management, LLC. With more than 28 years of experience in the financial industry, Pete provides comprehensive financial planning and investment management that helps his clients reach their goals.